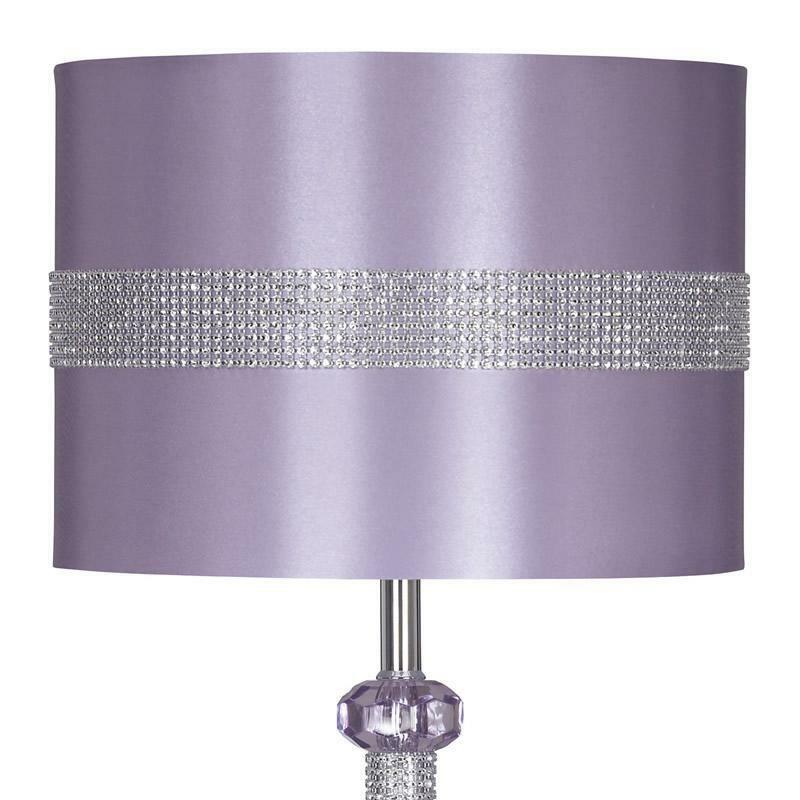 A plum-pretty hue, gleaming silver and rhinestone accents—perfect for the glitzy girly girl. 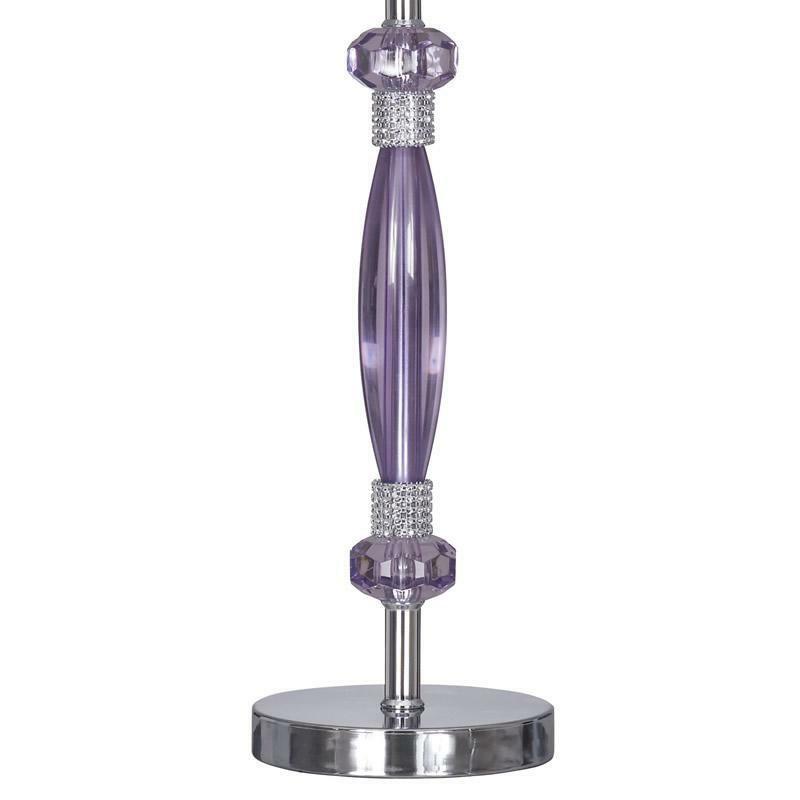 Signature Design's Nyssa makes a light, bright addition to her nightstand or desk. 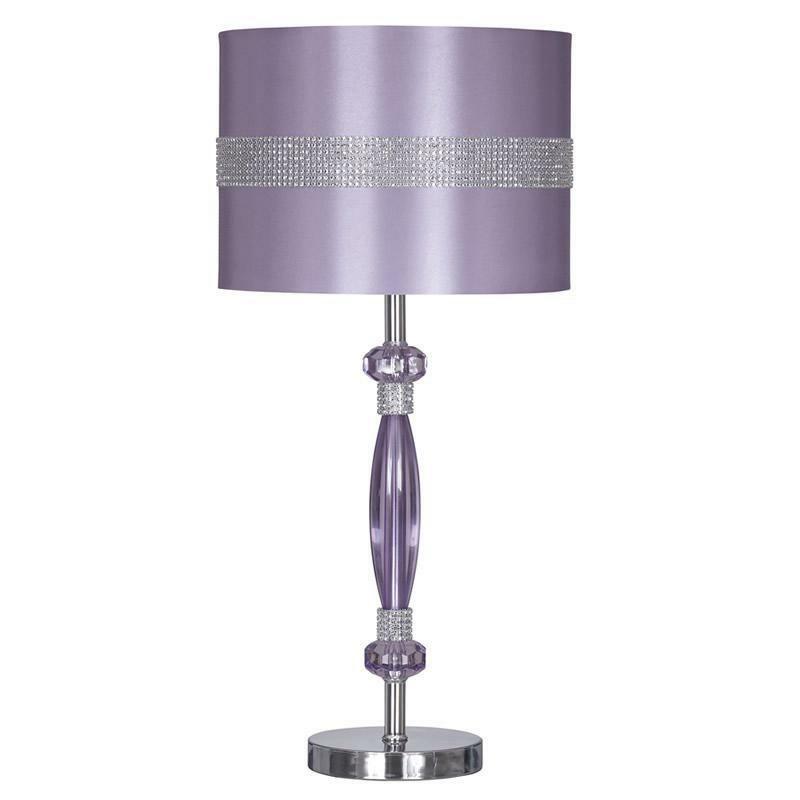 Additional Information Light purple acrylic and silver finished metal table lamp; Decorative drum shade; On/off switch; 60 watts max. 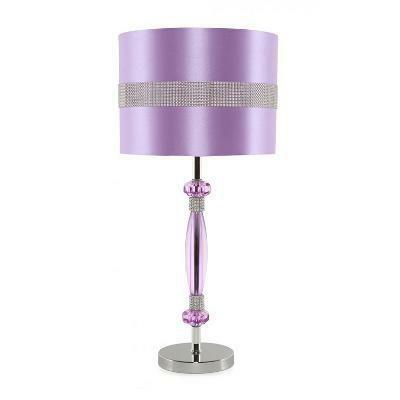 or CFL 26 watts max.